Lately I've been experimenting with bronzing and highlighting as I don't usually go for this look when I'm doing my makeup. 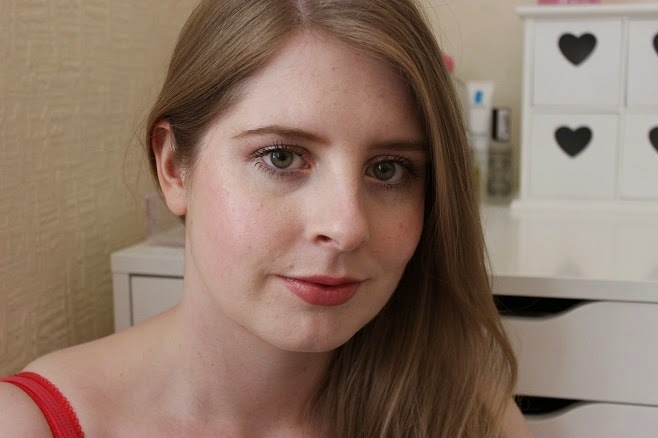 I'm often nervous about using bronzer on my pale skin as it can end up looking too over the top or orange if it's done wrong and highlighters aren't always the right shade for my skin. I asked for the cult bronzer of the blogging world, NARS Laguna, for Christmas but didn't get round to trying it. Well, in my defense, bronzer is more of a Summer product anyway, right?! So now that it's Summer I whipped it out along with a recent purchase. I've often seen the MAC Mineralize Skinfinish in Soft & Gentle on other blogs and thought it looked great on them but wasn't sure if it would be the right shade for my skin tone. As I have cool toned, pale skin, golds don't always look that good on me. On a bit of whim this month I decided that I needed it. I've spent a bit of time trying to work out how to apply these best on my skin and I think I've got a good thing going on now so thought I'd share it. The NARS Laguna Bronzer (link) is quite a dark brown in the pan and has a slight shimmer running through it. To pale skinned beauties it can look rather daunting I think. I'm glad I got this though as it really can work on pale skin. I take a light dusting of the powder on a Sigma F30 (Large Powder) brush (link) and blend it in to the hollows of my cheeks. I also take a bit over my temples and down my jawline for a slimming effect. 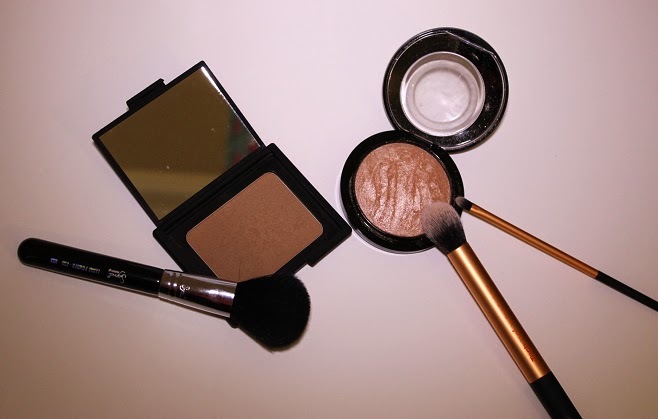 Adding a bit of the bronzer at a time means you can build up the intensity to achieve the look you want. I am only looking for a subtle bronzed effect which can easily be done with this product but you could also get a stronger look with this if you have a darker skin tone than me. 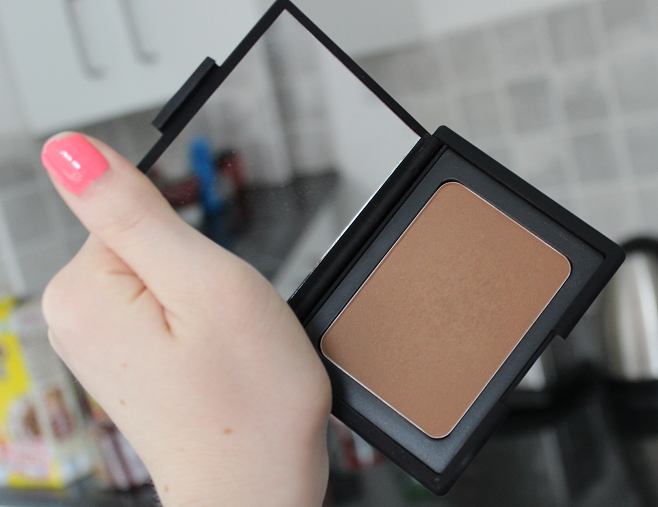 The texture of this bronzer is super smooth so it's very blendable. I find that the slight shimmer you see in the pan doesn't really show on my cheeks either which I really like. Another great thing about this is that it doesn't have any orange tones in it so it looks more natural on the skin. Once I've applied the bronzer I like to sweep my Real Techniques Powder Brush (link) around the edges to make sure I don't have an obvious stripe of bronzer in comparison to my pale skin. If you're a MAC fan, you might have noticed that the packaging on the Mineralize Skinfinishes has been updated. I'm not 100% sure I like it compared with the old style but I guess it's not bad! Anyway, the main star of the show is the actual product here so I'm going to get on with talking about that! 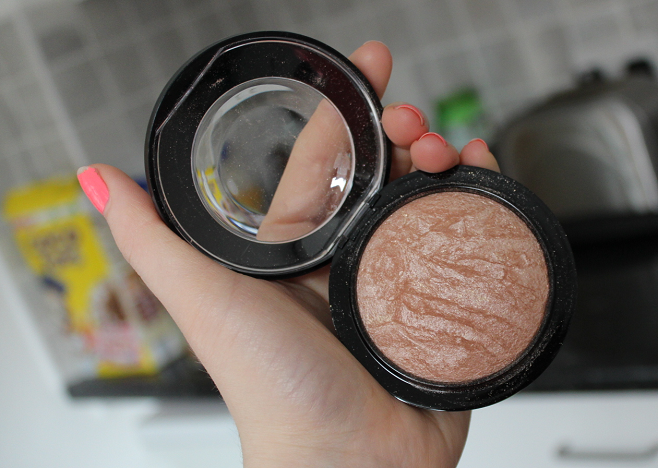 MAC Mineralize Skinfinish in Soft & Gentle (link) is a gorgeous gold colour that I find isn't too warm or cool. 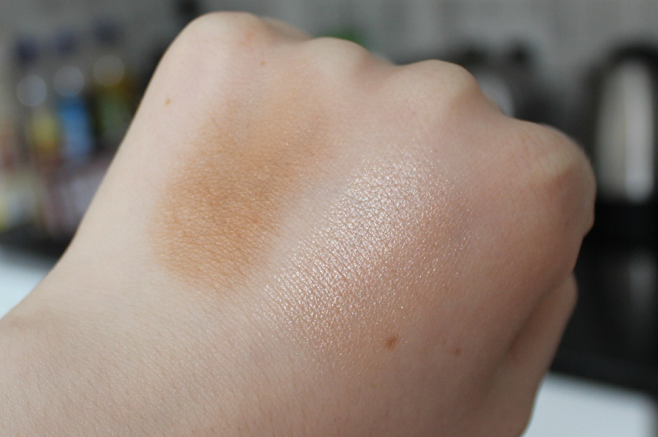 It's a beautiful shade that doesn't look harsh against my pale skin and it has a buttery smooth texture that makes it easy to apply and blend. I use the Real Techniques Contour Brush (link) to sweep this over my cheekbones and sometimes across the brow bone. 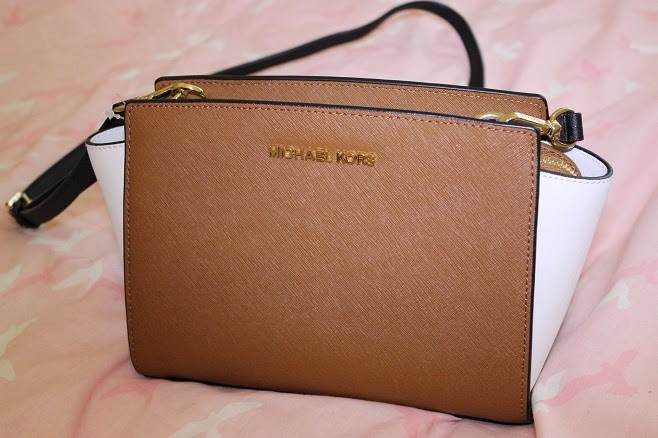 The product has a fine shimmer to it that looks stunning when the light catches it. I find that you get the perfect glow with this and it really brings out my cheekbones when paired with the Laguna bronzer. For an inner corner highlight on the eyes, I use the Real Techniques Detailer Brush (link) as it's the perfect size for that area. 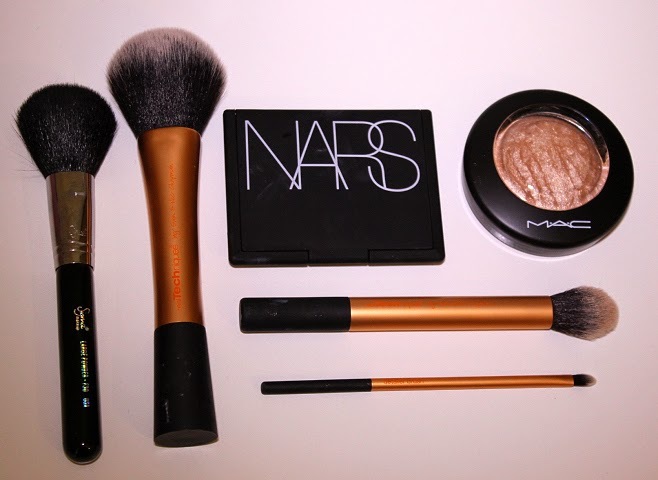 Once I've applied the highlighter to the cheekbones I go back in with the Real Techniques Powder Brush to make sure everything is blended and I don't have a harsh line between the bronzer and highlighter. 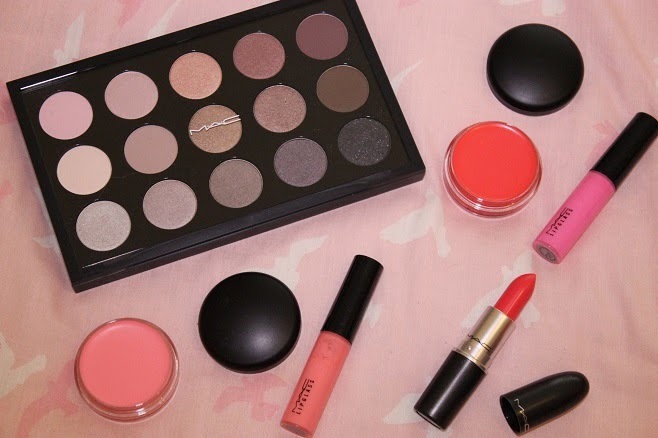 I'm loving this look and I think these products work amazingly well together. 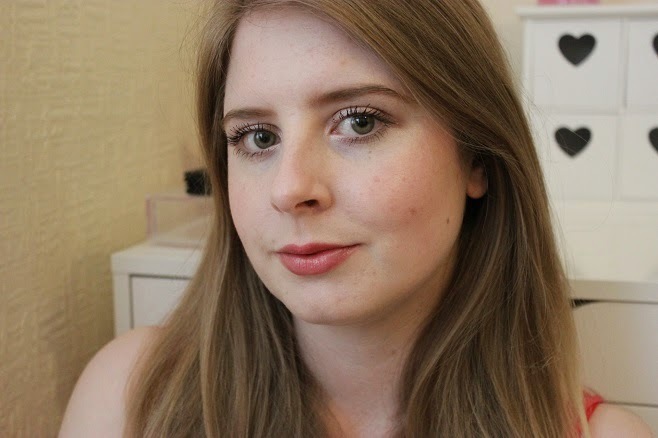 As you can see, you can use them to get a natural look on pale skin but I think these shades would go well on all skin tones as you can just build up the intensity to suit your needs. 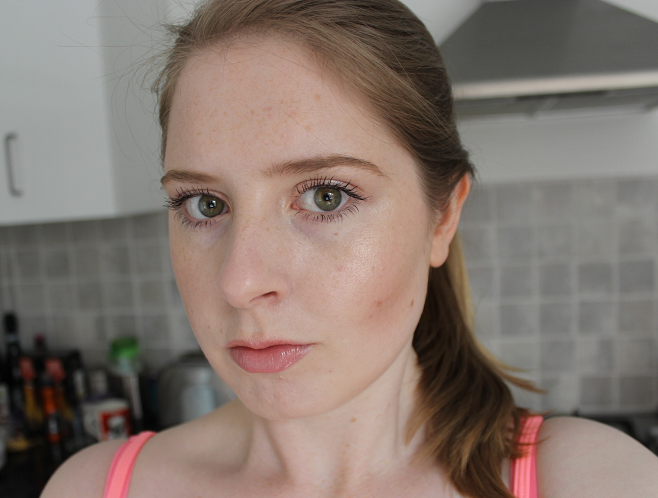 What do you think of my bronzed and highlighted look? I have quite a sensitive scalp that is often itchy so I usually have to use a shampoo like Head & Shoulders once or twice a week to calm my scalp down in between using regular shampoo. 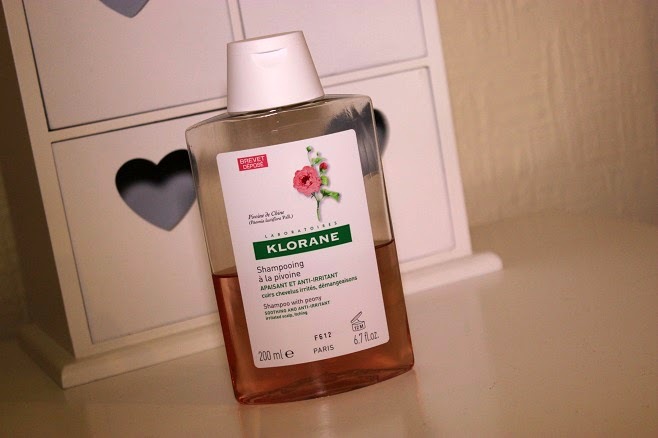 I'm always on the lookout for other shampoos to try for sensitive or itchy scalps so because I love French products I thought I'd pick this Klorane Shampoo with Peony (link) up from John Lewis. The packaging on this product is a little old fashioned and the shampoo surprisingly has quite a strong floral scent. 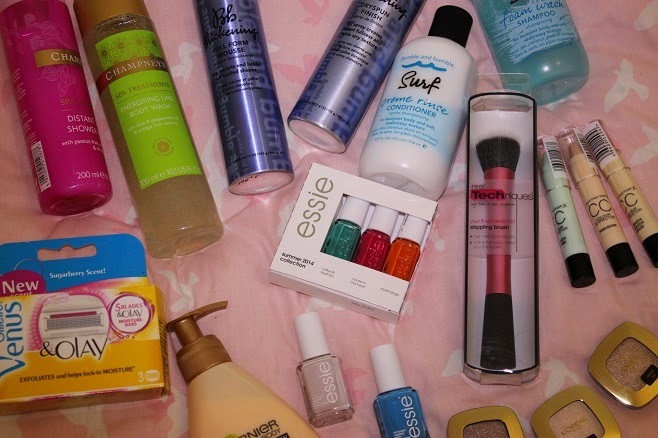 Normally sensitive products are unperfumed! Anyway, this scent doesn't linger in the hair and I find the shampoo really good for soothing my scalp. I use this every 3rd or 4th wash of my hair and I have really noticed a reduction in the itchiness. 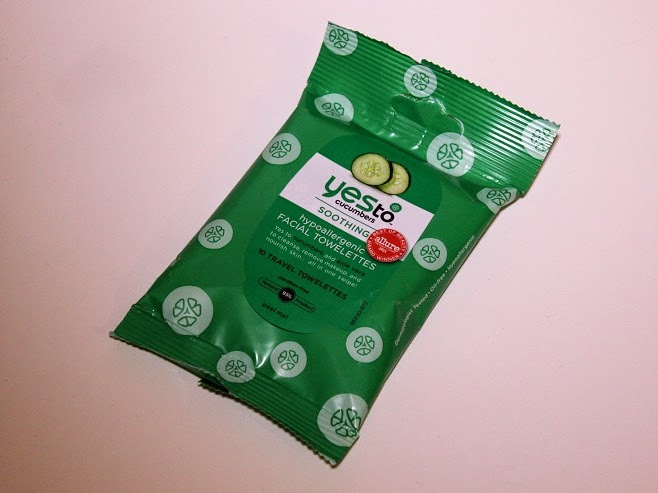 The shampoo also gets my hair lovely and clean without stripping or adding too much moisture. I think this is a great option for those with itchy, sensitive scalps who are looking for something a bit different to the usual Head & Shoulders options. At £6.00 it isn't too pricey either so I would definitely recommend this. 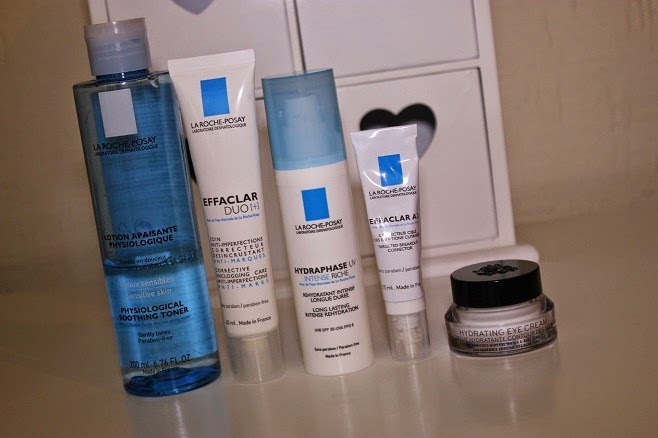 Have you tried any products by Klorane? Do you have any other shampoo recommendations for itchy scalps? 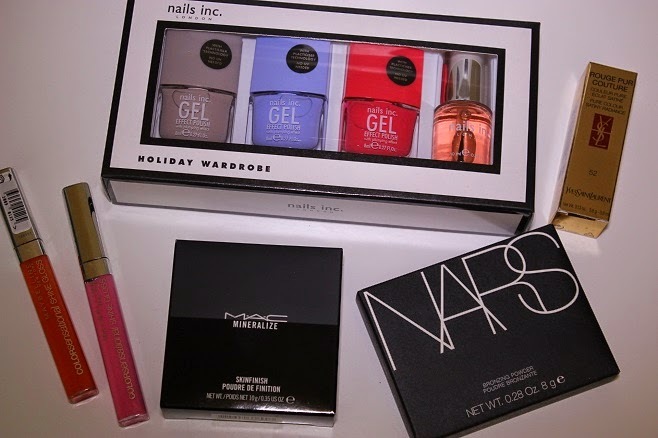 As you probably know, I've gone a bit crazy ordering from Sephora since they started shipping to the UK in February. 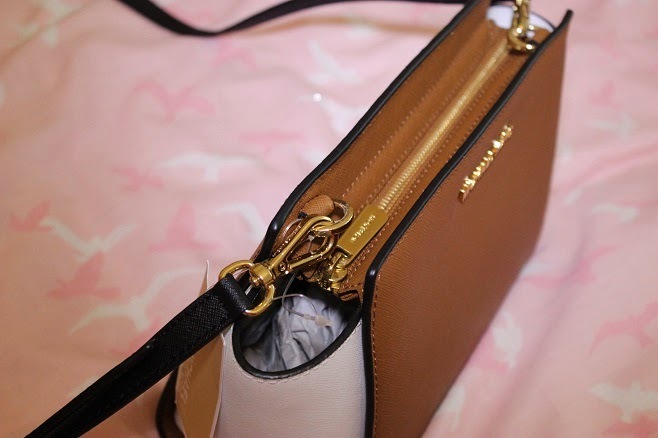 Check out hauls one, two and three for the evidence! 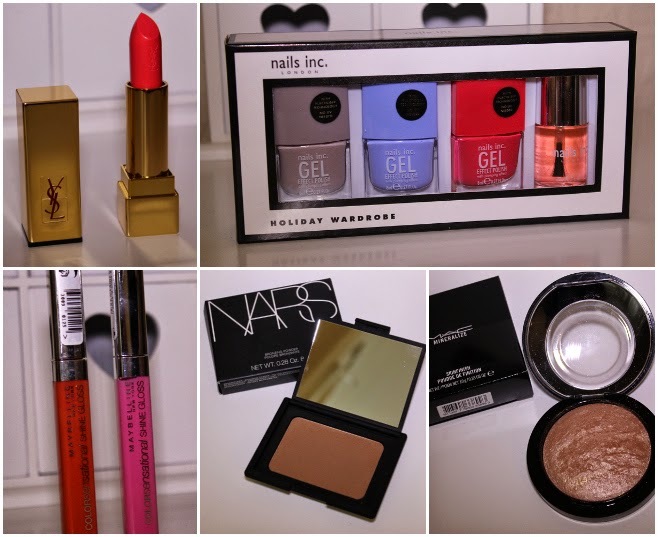 Some of the products I bought were pretty hyped up in the blogging world but some things I hadn't really heard of. 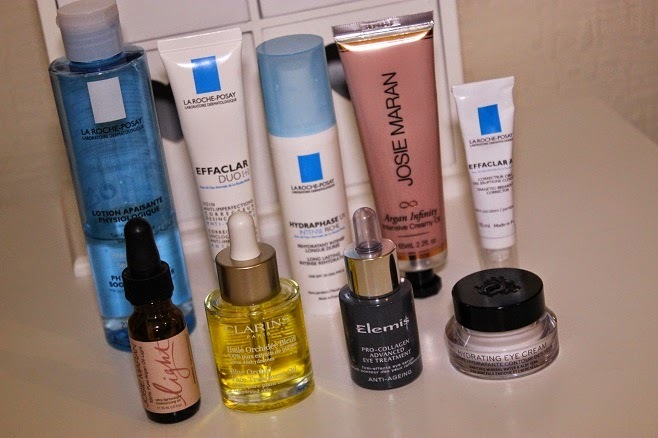 That's where these Josie Maran products come in. I think I've heard a Josie Maran hand cream mentioned by an American YouTuber once but that's about it. I was pretty interested in trying some of the range though so something from the brand has slipped into all three of my orders! 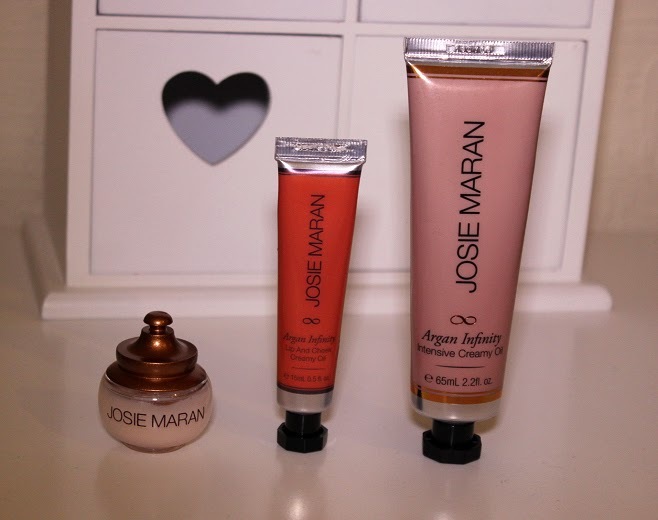 The signature ingredient in Josie Maran products is Argan Oil as Josie wanted to create a high quality range with non toxic, healthy ingredients. 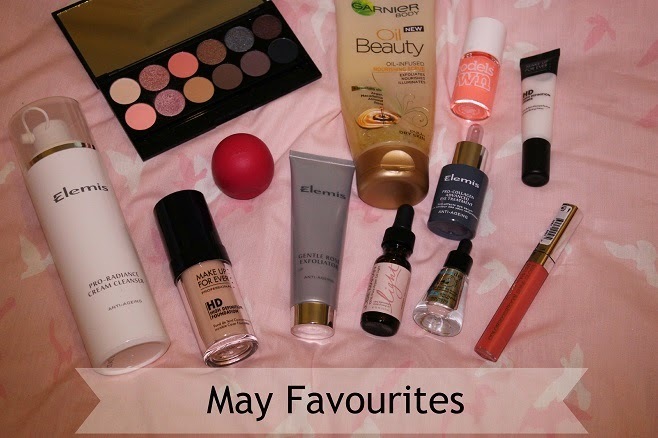 I've picked my favourites from the products I've tried so far so I can let you know all about them. 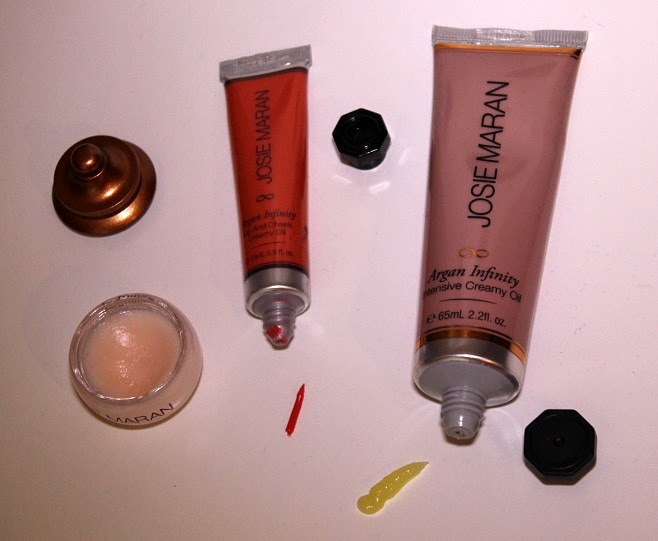 My first Josie Maran product was the Argan Lip Treatment. It seems to have disappeared from the Sephora site but here it is on the Josie Maran site (if you're from the USA). I was definitely attracted to this because of the cute packaging. It has a genie lamp style lid and I thought the balm looked a bit like the By Terry Baume de Rose that is stupidly expensive but massively raved about! Those reasons were enough to sell it to me! I really like this lip balm as it's lovely and moisturising on the lips, smells like apple and it delivers a hint of creamy light pink colour to the lips. Nothing too noticeable but a nice pretty finish. I was rather interested in trying the actual Argan Oil so ended up picking up this set from Sephora so I could give it a go along with some other products and I'm really liking the Argan Infinity Intensive Creamy Oil (link) that was in the set. It contains 100% pure argan oil along with fatty acids and vitamin E and can be used for any dry, rough or chapped skin to illuminate the complexion. This has a thick consistency when you first dispense the product but it melts straight away when you rub it and has a luxurious oil consistency. 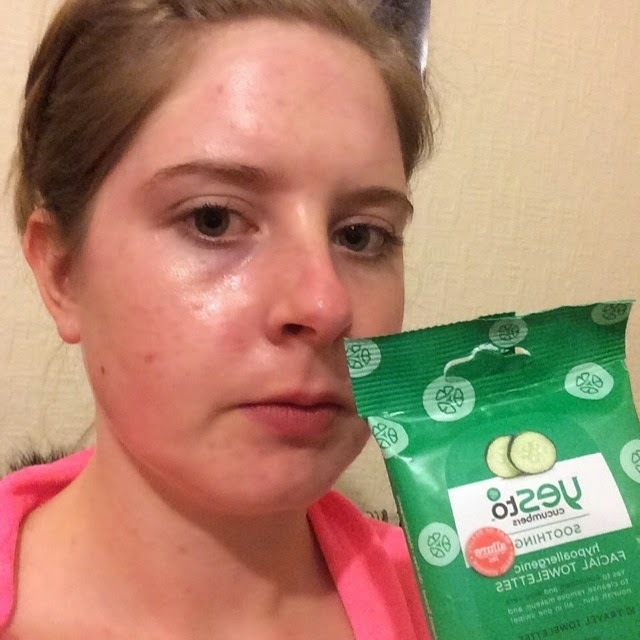 I use this all over my face on an evening when I feel like my skin is a bit dehydrated and needs a boost. This is so nice to use as it doesn't feel heavy or greasy on the skin. It doesn't sink in immediately which is why I apply on it on a night time but it really hydrates my skin overnight and I wake up looking quite radiant. 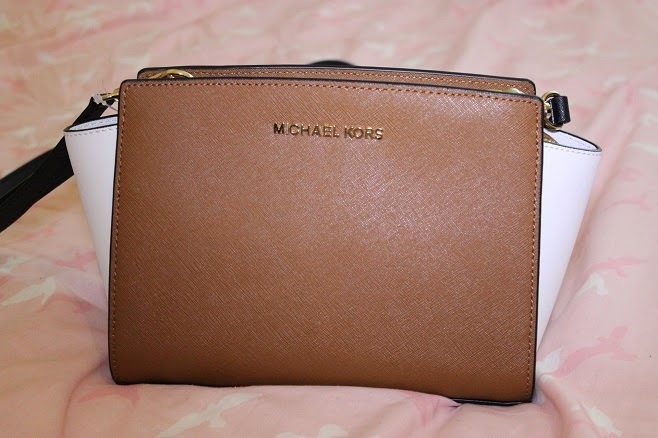 It also helps my foundation and concealer to apply more evenly after I've used this. I haven't had any breakouts using this either so that's brilliant. The final product I want to tell you about is the Argan Infinity Lip and Cheek Creamy Oil in Timeless Coral (link). I'll be honest, I'm not normally that great at applying liquid blush to the cheeks but I really liked the sound of this and the colour looked pretty so I bought it anyway. I'm totally in love with this product after trying it on both cheeks and lips. I started off only using it on lips as I was scared to try it on my cheeks! It comes in a tube so you can squeeze a little out and rub it on to the lips with your fingers. It comes out of the tube quite bright but it sheers out when you apply it to the lips. It has a hydrating oil texture and a glossy finish on the lips. I just love how my lips look with this on as it's not too in your face but it looks really pretty for Summer. It's almost like a bit of a treatment as well as it really moisturises my lips. When I got round to trying it on the cheeks I was so impressed too! You only need to apply a tiny bit and it rubs in so easily with your fingers. It's not like one of those stains that dries super quickly and doesn't blend in, leaving a few dots of colour on your cheek. The oily (but not greasy) texture glides over the cheek and leaves a subtle flush of colour that you can blend seamlessly. 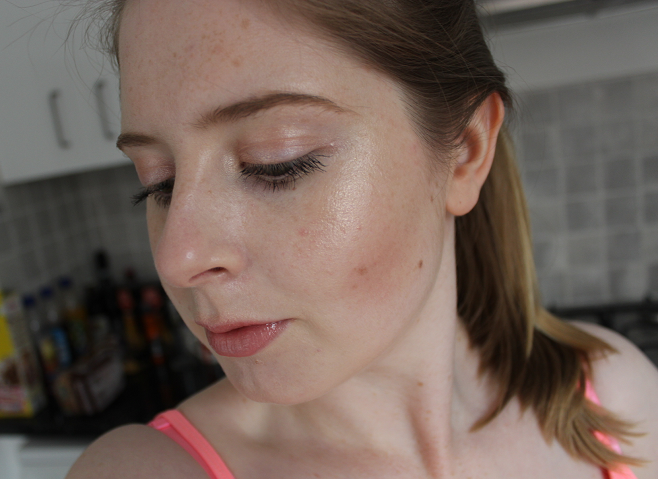 I find this also leaves a bit of a glow to the cheeks too so again it's ideal for a fresh, easy Summer look. 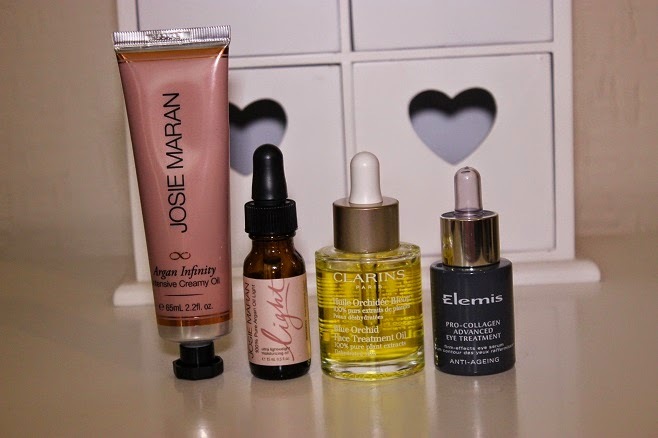 Have you tried any Josie Maran products? 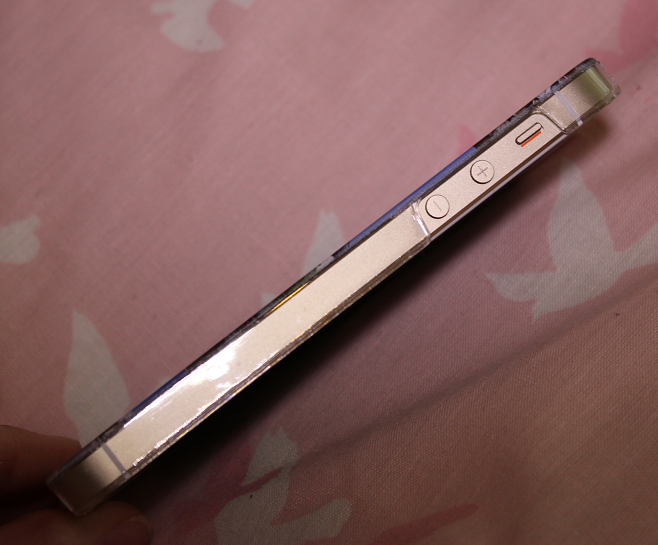 How fab is my iPhone 5S Ultra Light Weight Slimline Case* from www.mrnutcase.com? They kindly offered me a phone case to review so I leapt at the chance to try one. I'd always fancied a custom phone case but didn't want to spend too much so never got round to getting one. Mr Nutcase have lots of different designs so you don't have to have 8 photos like mine, you could have one big one, lots of little ones arranged into a heart and many other variations. I decided to pick some of my favourite photos that I've taken over the last few years and I'm very impressed with the quality of the case. The photos have printed very well without any distortions or degradation. You wouldn't think this phone case only costs £14.95! 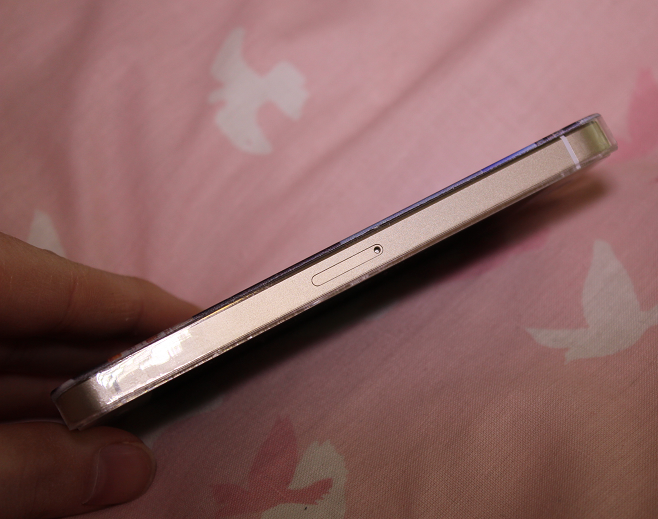 The case is made from sturdy, hard wearing plastic and the edge of the case is clear, which I love as it shows off the gold on my phone! 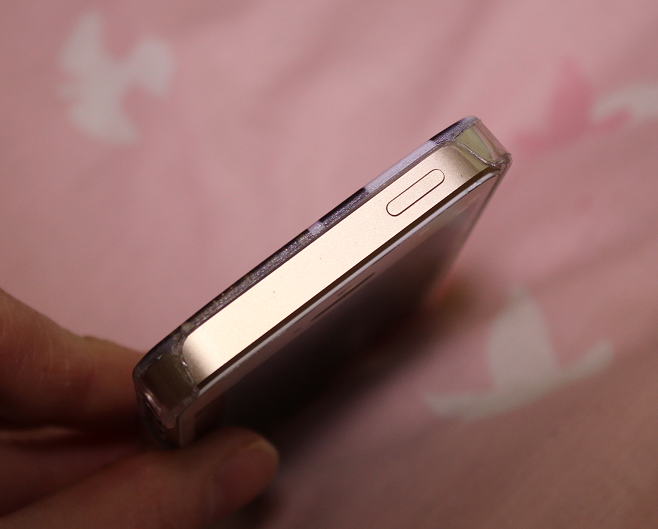 Another fab feature is that there are cut outs for all of the buttons and charging ports etc which is ideal as I hate it when there are buttons on the case covering the phone's buttons and it makes them stiff to press. These cases are available for lots of different phones not just iPhones so you are in luck if you've been searching for a customisable phone case for another type of phone than the usual iPhone! Are you tempted to order one of these? What photos would you put on yours?